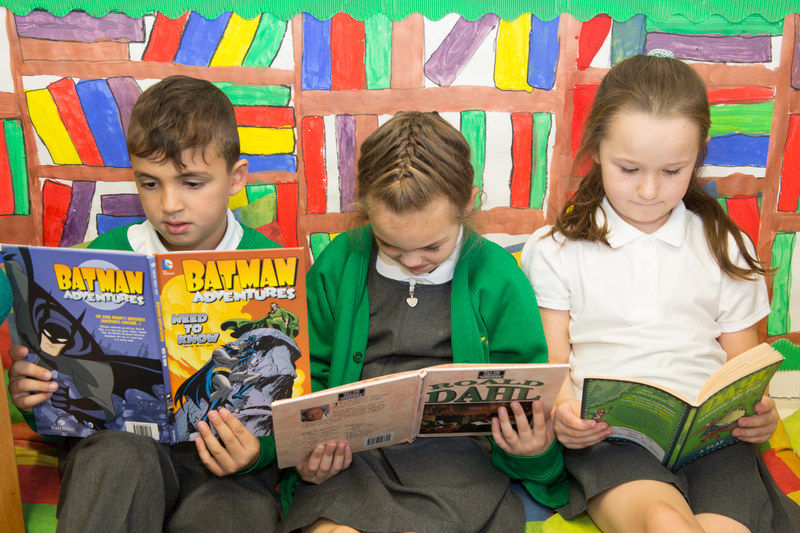 At St William of York Catholic Primary School, English is at the heart of everything we do; skills in reading and writing are taught across the entire curriculum. Teachers encourage and promote a love of reading and writing, through the use of daily, engaging lessons, based upon a key text. Through the teaching of English, we are encouraging children to develop skills in speaking, listening, reading and writing. It enables them to express themselves creatively and imaginatively and to communicate with each other effectively. At St Williams’, English forms part of the daily timetable. 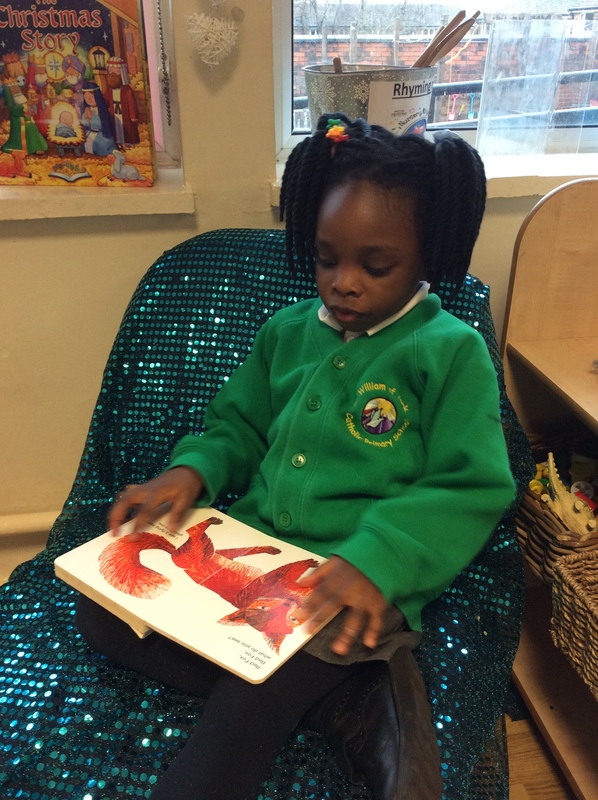 In our Early Years Foundation Stage, the children’s progress in Reading and Writing is supported by The EYFS Development Matters guide, and phonics through Read, Write, Inc. Phonics in Read Write Inc is continued in to Year 1, as well as their independent English lessons. 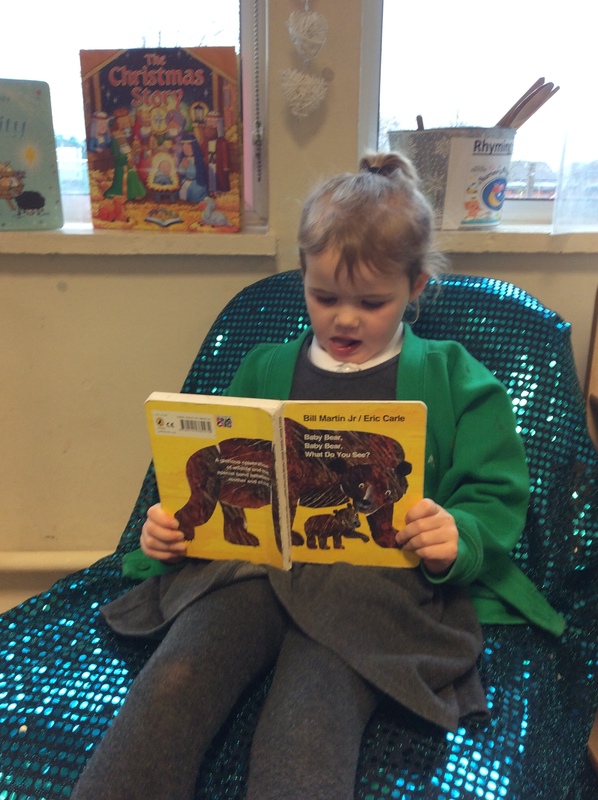 Click here to find out how phonics helps your child to read. 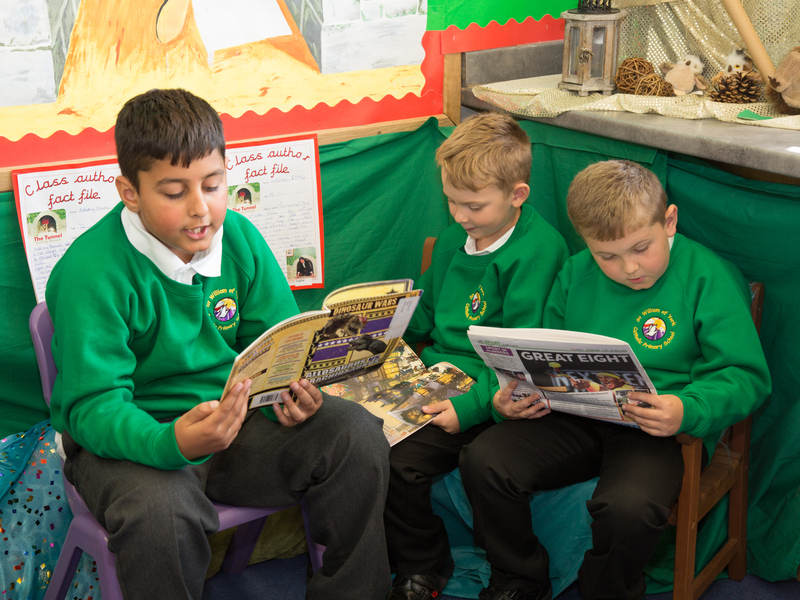 Through Years 1-6, English is taught daily, through key texts and each class has a Class Author. 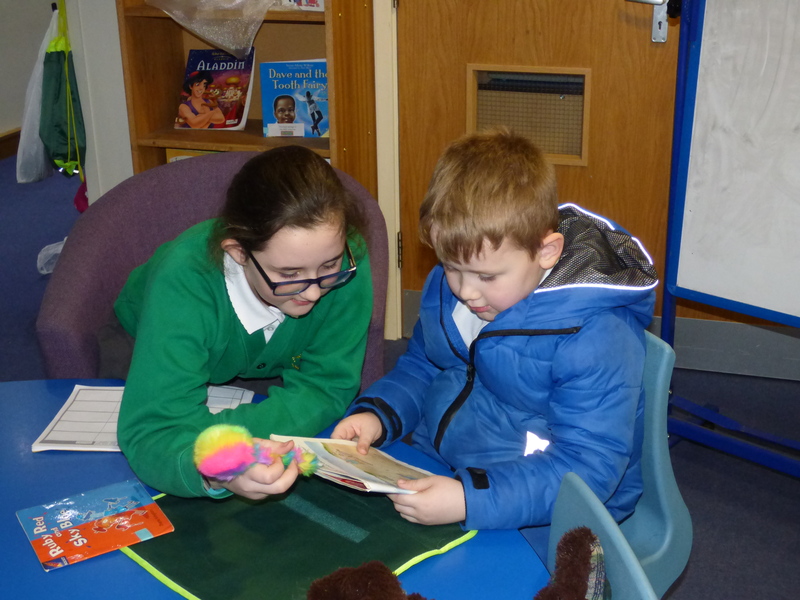 Guided reading is taught in Years 1-6 across school on a daily basis and has been seen to significantly raise the profile of Reading in our school. 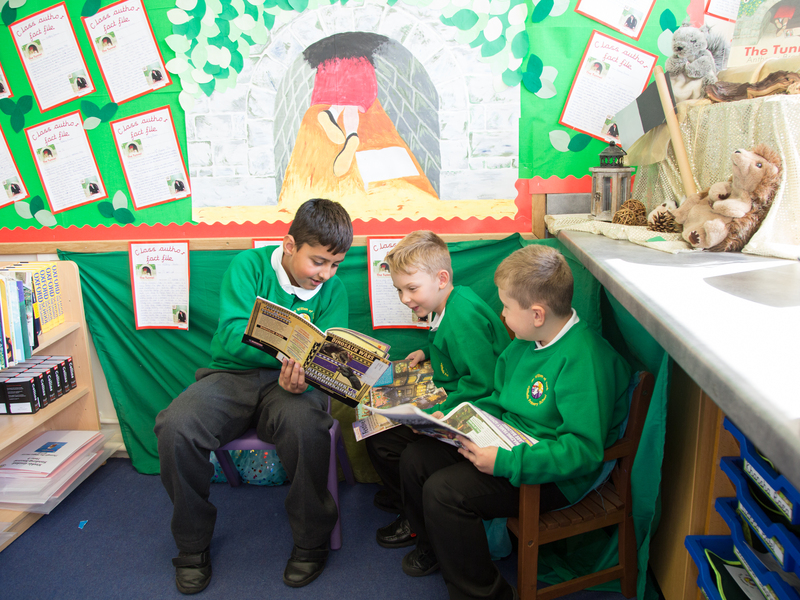 Our school environment provides a rich display of our love for reading. All classrooms have a Reading area and displays focus on the Class Author. 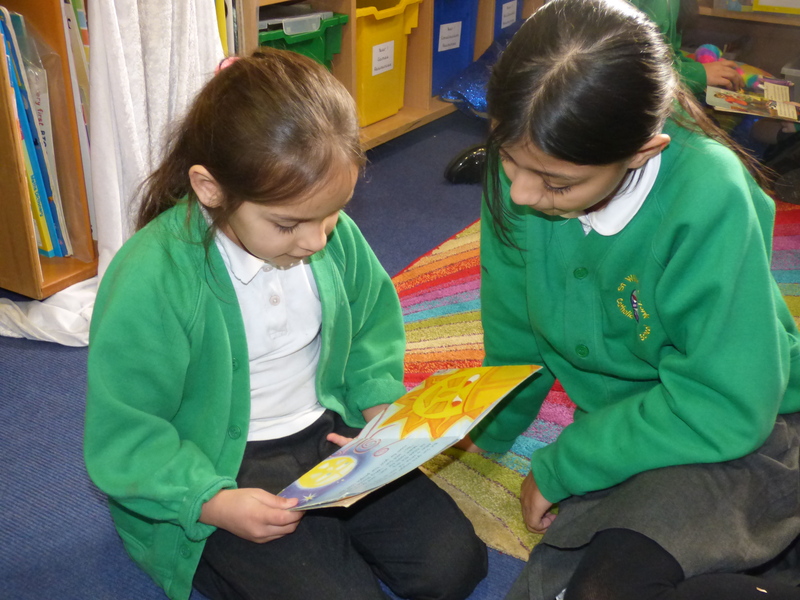 Upper KS2 children have all been linked with children in Year 1 and Year 2, to form Reading buddies. 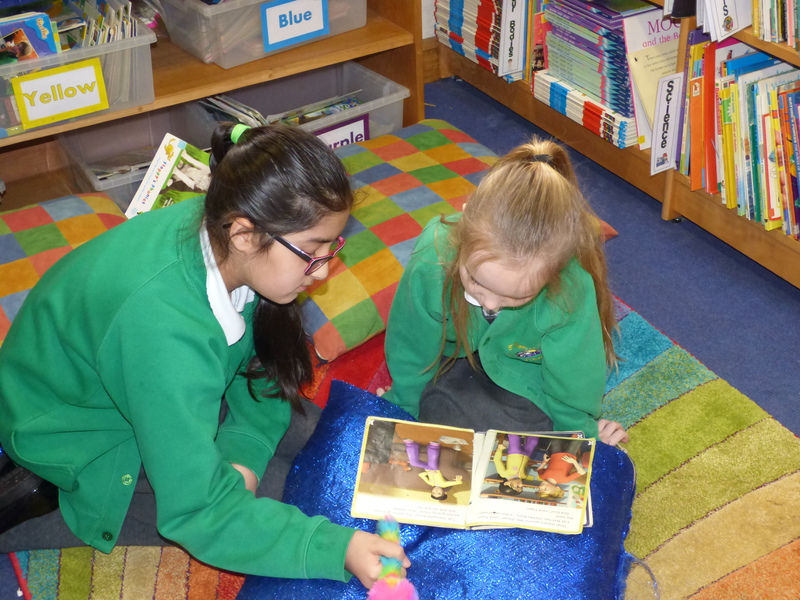 The children from Year 5 and 6 support their reading buddies, before and during school, through reading to them or listening to them read. 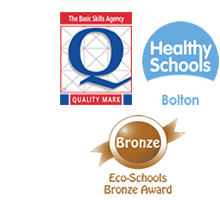 The encompassing aim for English in the curriculum, is to continue to promote high standards of English, by providing pupils with a strong command of the spoken and written word, and to develop their love of English, through widespread reading for enjoyment. 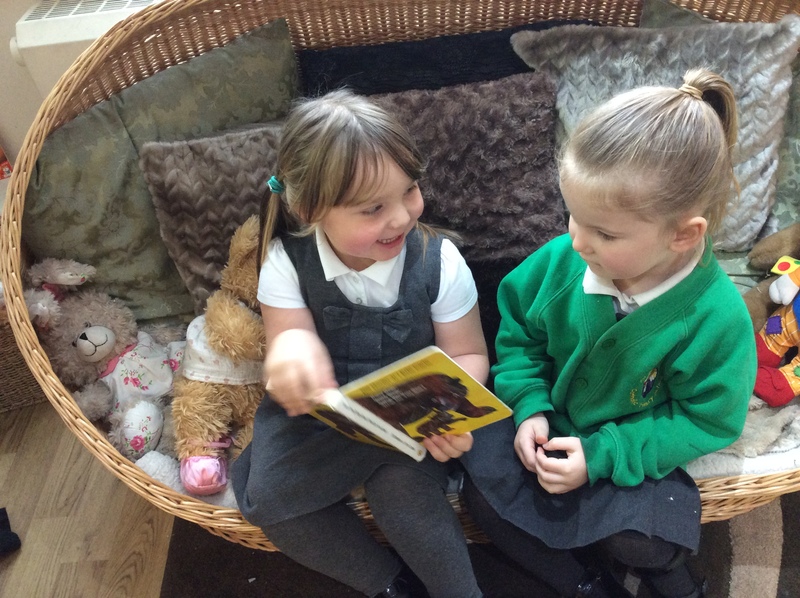 Click here for 10 things to think about when you read to your child.